Our company has been established in 1978, with the sole purpose of supplying quality spare parts and services to our customers. Initially and until 2008, our company has acted as the sole agent for S.E.M.T. 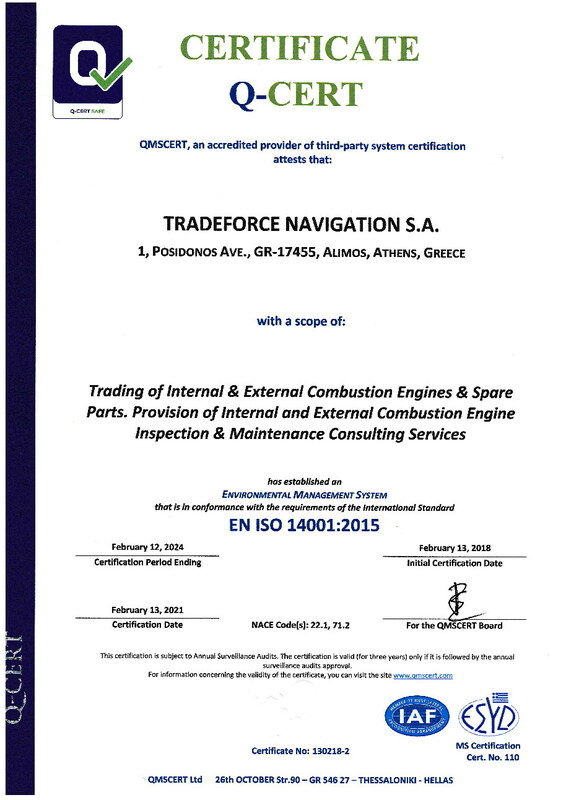 Pielstick in Greece, dealing with a vast clientele of more than 400 vessels equipped with the PIESTICK brand of engines, as well as a large number of Land applications and many engines installed on Hellenic Navy vessels. In 2009, following the acquisition and renaming of S.E.M.T. Pielstick we have shifted to exploring new markets, which led us to a close cooperation with JFE Engineering Co LTD in Japan, eventually concluding with an agency agreement for their complete product range and technical services. Historically, our deep involvement in all kinds of maintenance and repair routines, has enabled us to accumulate knowledge that we are happy to share with our customers, so that their engines can run efficiently and trouble-free. With the provision of technical expertise been the backbone of our organization, we aim to support our customers and are proud to provide one-stop services. In 2014 , we have expanded our services to include the supply of spare parts for most Japanese made Engines and Equipment, through a large network of original and OEM suppliers. Same year, our position in the market and our consistent growth over the last 35 years enabled us to move into a new sector namely Gas Turbine spare parts and services supply. Our customer base is, genuinely, world-wide. 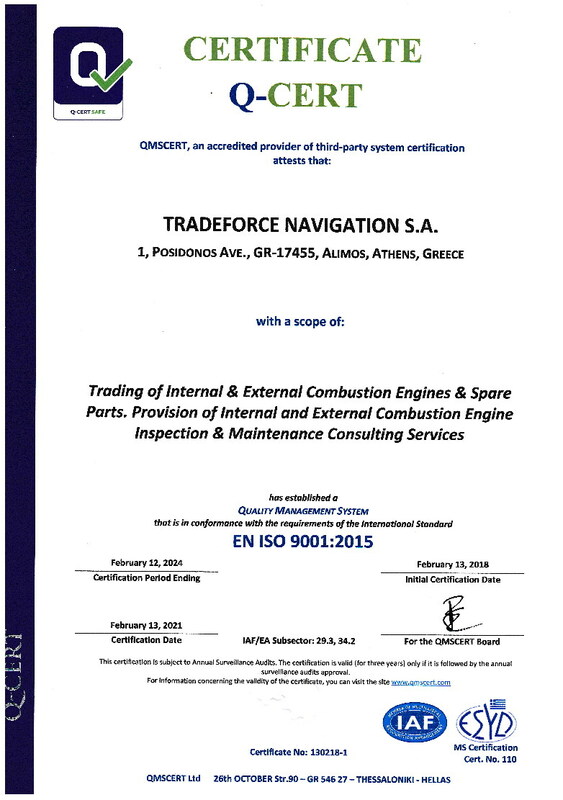 From long-standing customers in Europe, to Cruise ships in the USA, Greek ferry companies, Latin America ferry companies and power plants through Greece, Latin America and Asia. Our aim is to provide complete solutions to our customers – focusing on their actual needs – both in terms of commercial and technical efficiency. A large selection of original and OEM solution to cover most needs of a vessel or land application. In order to achieve maximum efficiency in every aspect of our relation with our customers, our team of specialized engineers is available to undertake the supervision of maintenance works and damage repairs, around the globe. With credentials beyond any doubt, our engineers are highly skilled and experienced to undertake any task. Our reporting is frequently used for cause of damage determination and our technical expertise is utilized by most major marine and land application users in order to maximize efficiency and cost effectiveness of their installations.